DIY Dorm Room Decor! What is your style? 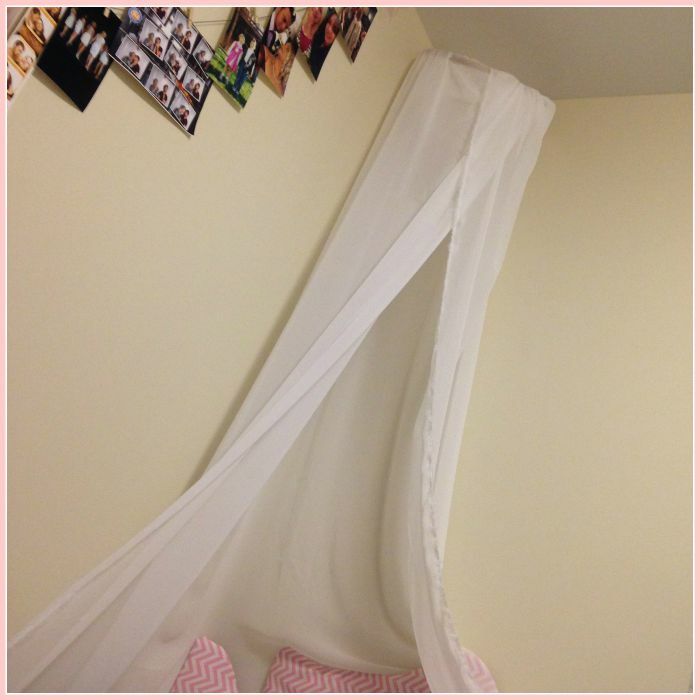 Finding the perfect DIY dorm room decor takes one part patience, one part elbow grease, and two parts creativity. But let me first start with……..I cry. I’m very sentimental. I’ve been dubbed “the crier” on many occasions. However, dropping my niece off for college surprised even me. I was very excited for her to go to college. Admittedly, I was jealous too. I cried like a baby driving home. I tried to let my sister have her moment but I just couldn’t hold back my tears! What made me feel much better about the entire occasion was how incredible her dorm room decor looked when we left. My college days were awesome and the those friends are still my closest buddies. How could my niece be old enough to leave for college? It feels like I just graduated and she is still that cute three-year-old I use to cast in all of my theater shows. Can you identify with how fast the time went? 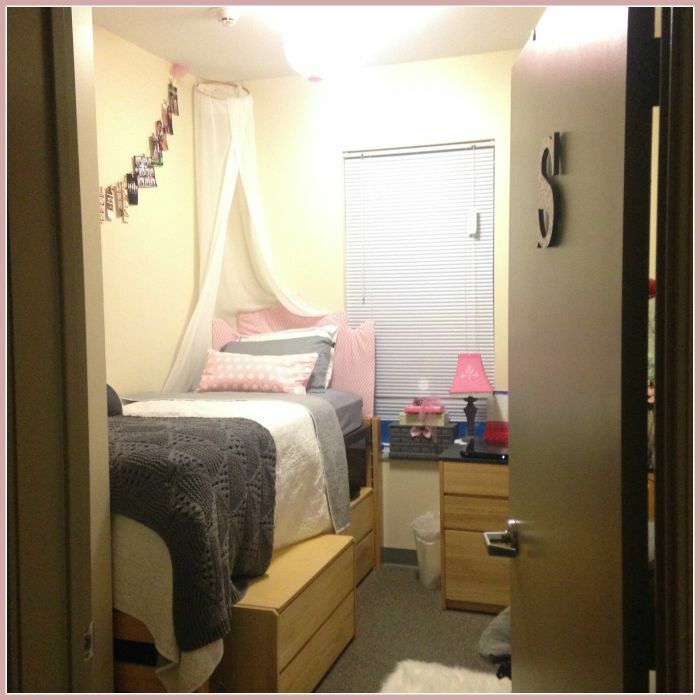 We spent the entire summer shopping and pouring over Pinterest to design the perfect DIY dorm room decor for her freshman year. Sophia is on the biology floor at Shippensburg University in Pennsylvania. She is one of those students that is really smart and likes science but also has a creative side that is equally passionate. She knew exactly what she wanted. From color combos, design, and decorations, we shopped with purpose. 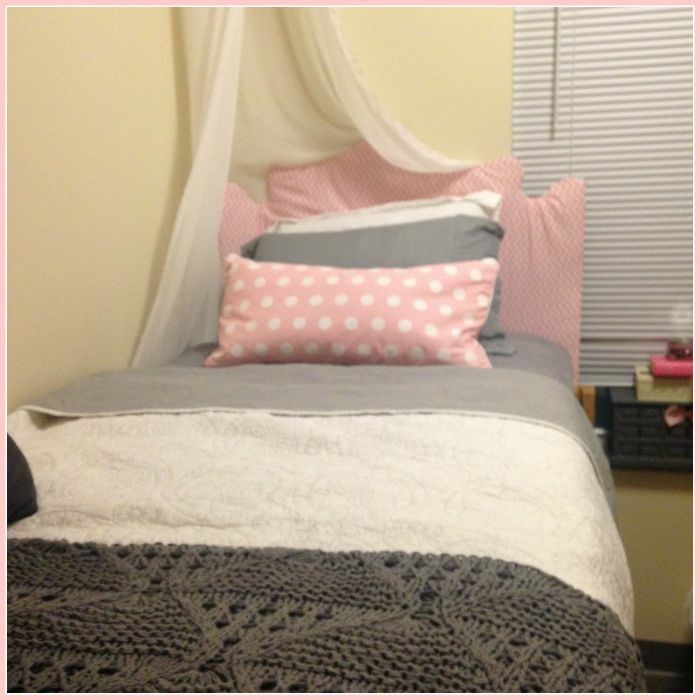 We were able to create the perfect DIY dorm room decor that is magazine ready. I hope that she will keep it organized and beautiful once classes start. 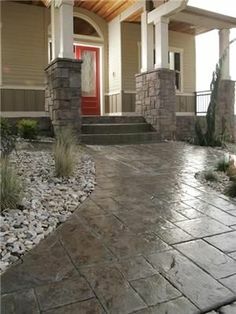 I’ll never know the difference after the initial pictures….Sigh! She had $350.00 to blow on anything that she wanted for her room thanks to some Disney stock we had purchased for her. 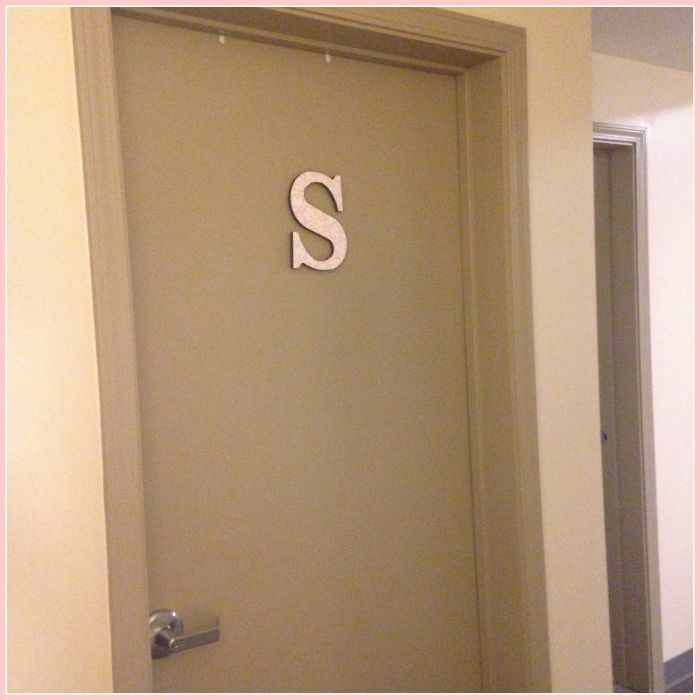 There are many extravagant lists on the internet to help people prepare for living in a dorm. 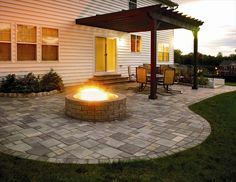 We both sat down and came up with a realistic list that fit within her budget and space. When decorating a small space, we determined where we could spend the bulk of her money. We also took into account what was most important for her. 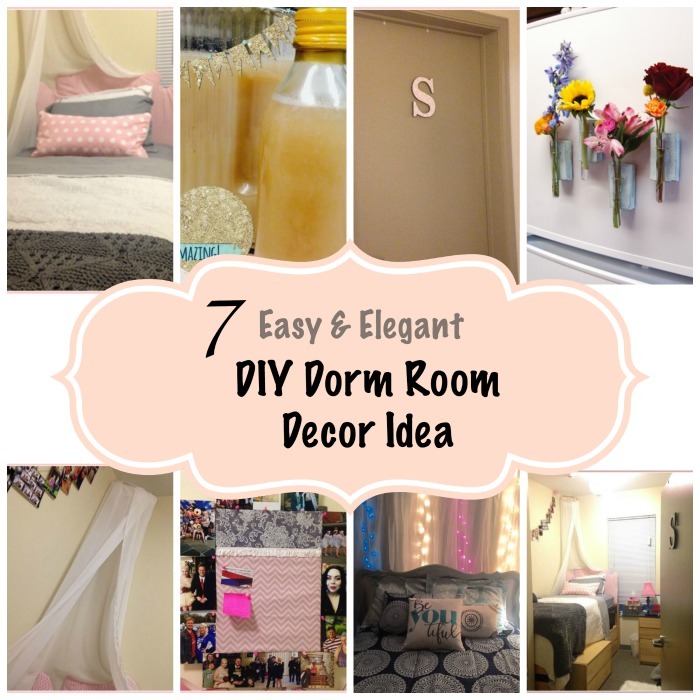 I had all the tools that she would need to complete her DIY projects for her ideal dorm room deocr. We had a slew of paint brushes for stencils and paints, glue gun and sticks, staple gun, twine, a cutting mat, Fiskar roller cutter, paint tape, fabric scissors, and clear cord. It is my opinion that the bed should be the focal point of a small room. It is the biggest object in a dorm room plus a good night sleep has utmost importance in college. Sophia and I are alike because we love the sheets to be ultra soft and the top blanket to be even softer. We had to get a twin XL size because of the mattress the college provides. I once heard a professor talk about college as the first time to be an adult or the last time to be a kid. I bring this up because pillows are where some people can draw the line in decorating. Where should we ride the line between function and beautiful excess? For Sophia, we were trying to stay functional because of the limited space available. She purchased one decorative pillow to complete the look. She would have purchased more but I had to be the voice of reason and limit her to one for now. 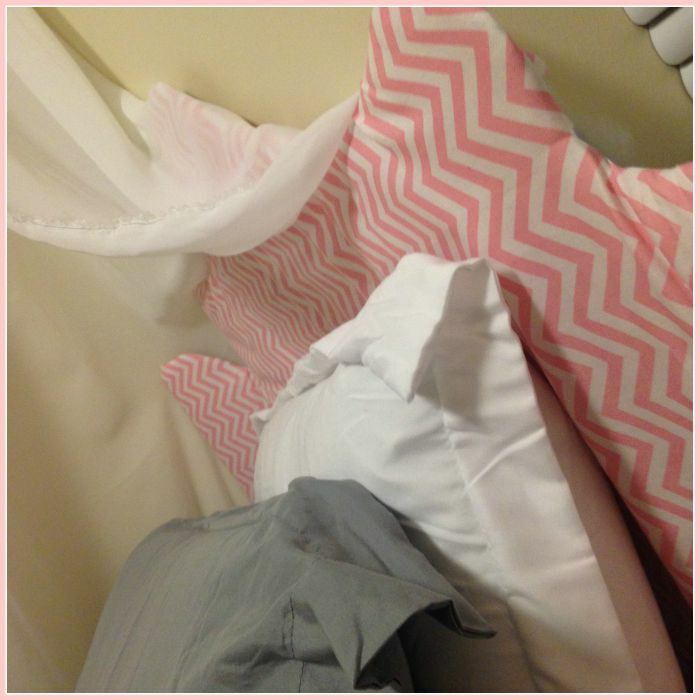 A headboard isn’t a new concept but it is a cute concept for a posh DIY dorm room decor. We made her headboard out of poster board. We hot glued thick batting to the poster board and then covered it with material that she was using on a tapestry that would hang on an opposite wall. Command strips anchor the headboard to the wall. It also helped that we had the bed against a corner so it has a corner for extra support. 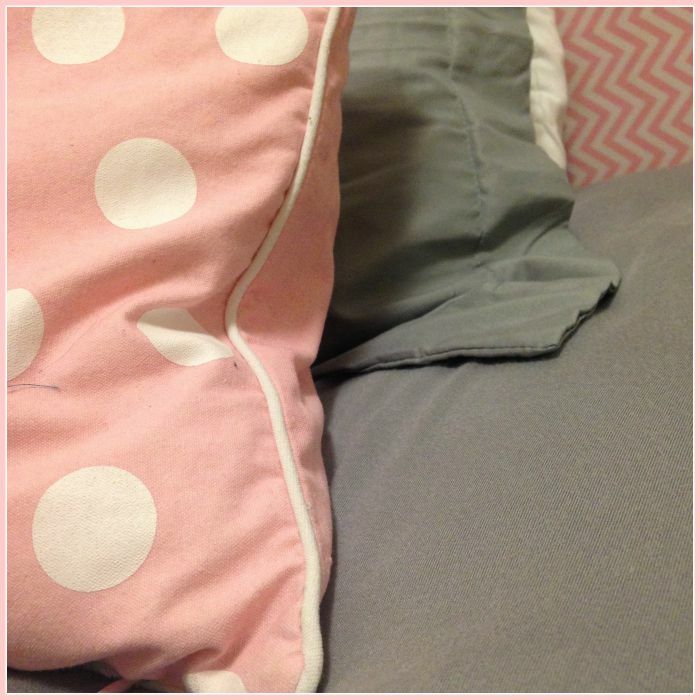 Once the basics of the bedding were complete, we moved onto the “extras” that would really tie the room together. 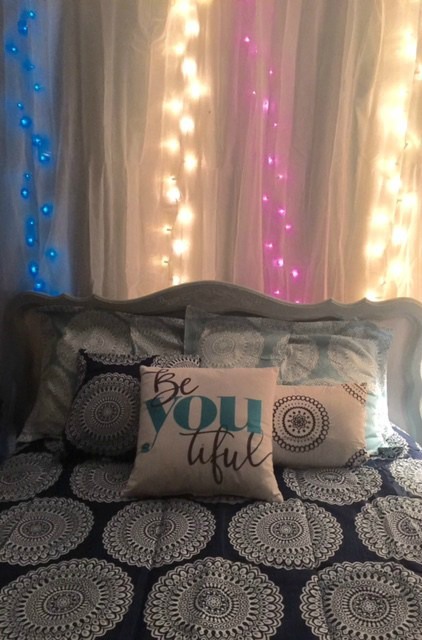 There were four DIY projects that took some time to complete but with some effort, they all came together making her 10×10 room look more like a home than a box. 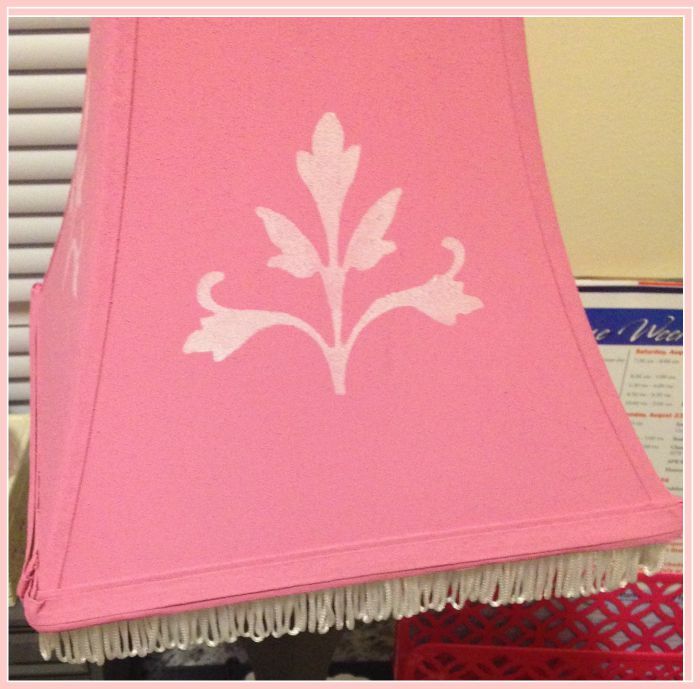 A lamp and shade that she found at Goodwill was dressed up by painting, stenciling, and trimming the edges with fringe. It is the perfect size to fit on her desk and provides a softer lighting option than florescent bulbs for studying. We painted Vintage records with stencils and then glued them to a frame. Next, we shaped her name out of 16 gauge wire (this ended up being much heavier than I anticipated). I would have done this differently next time or waited until she rented an apartment and could use nails in the wall instead of command strips. An old wooden frame was painted then converted into a cork board that she covered and hot glued matching fabric over the cork. 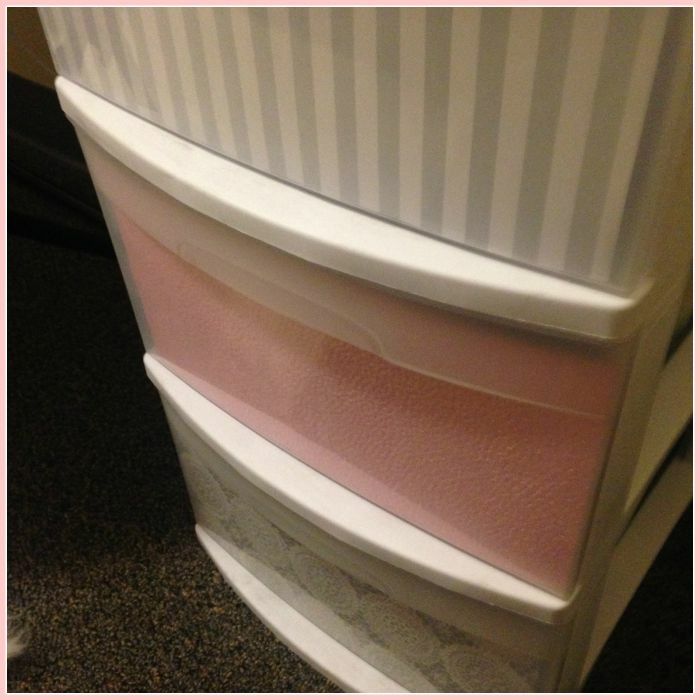 To add some style to plastic drawers, Sophia selected three different colors and patterns of scrapbook paper and inserted it into the front of drawers. It serves two purposes. It gives some privacy to what is in the plastic container and scrapbook paper dresses up the plastic stand. All in all, she was delighted with how her room turned out. Admittedly, we were one of the last families to leave on move-in day. Ironically, the fire alarm went off and we were forced to leave. With a happy heart, I’m proud to report that she thrived during her freshman year of college. We have started an annual tradition to beautifully decorate her room each summer with additional DIY dorm room decor. She has six more years in front of her so who knows what type of trendy decorating we will be doing in the future. 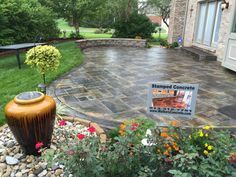 Make sure you follow us on Pinterest for great tips and ideas. 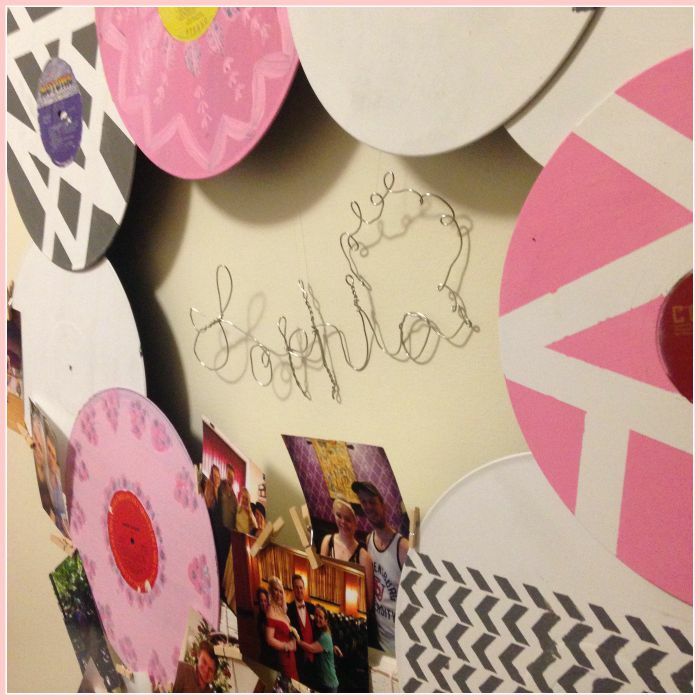 For her Sophomore year apartment, I found these amazing additions to her DIY Dorm Room Decor from some amazing bloggers. 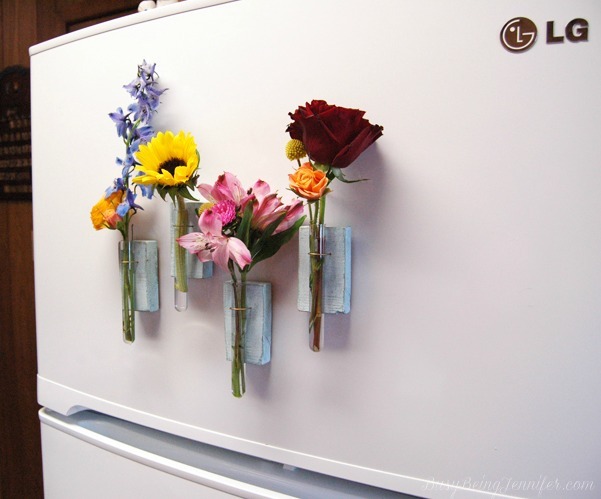 Jennifer from Busy Being Jennifer has an amazing tutorial on using test tubes for vases. I just bought 10 test tubes which are much larger so I’m hoping to do a modified DIY project on this theme. 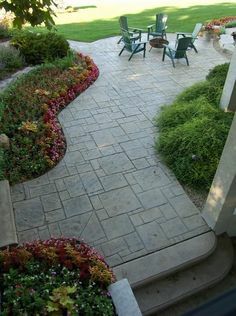 Tanya from The Natural Homeschool offers a twist on one of my favorite things to make. Her DIY Dead Sea Salt and Lavender Shower Gel is amazing. 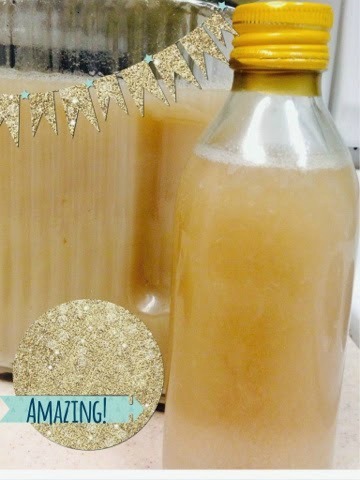 I love making my own bath and sugar scrub products. Sophia and I have made homemade hand soap and laundry to help her save money and be chemical free while at college. Check out this recipe. 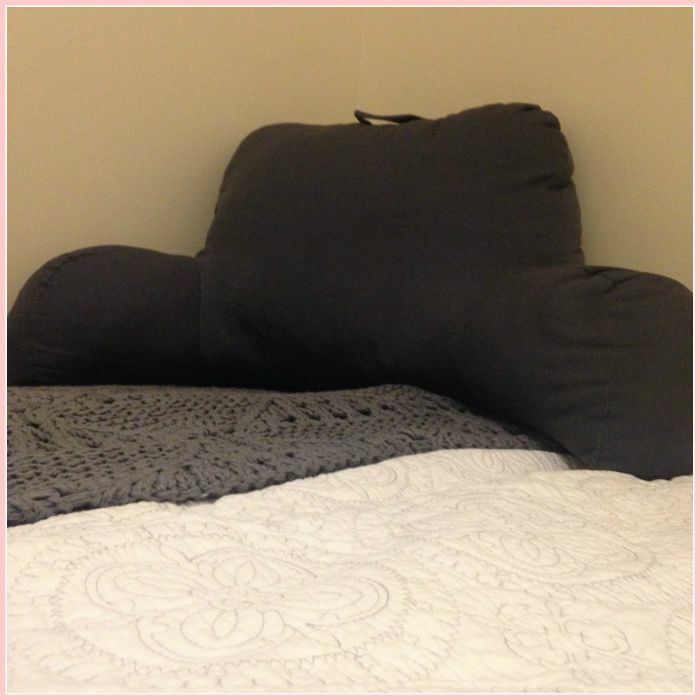 If you need retail help for dorm room ideas, then check out Our Crafty Mom for some Big Lot finds that are perfect for a dorm room. 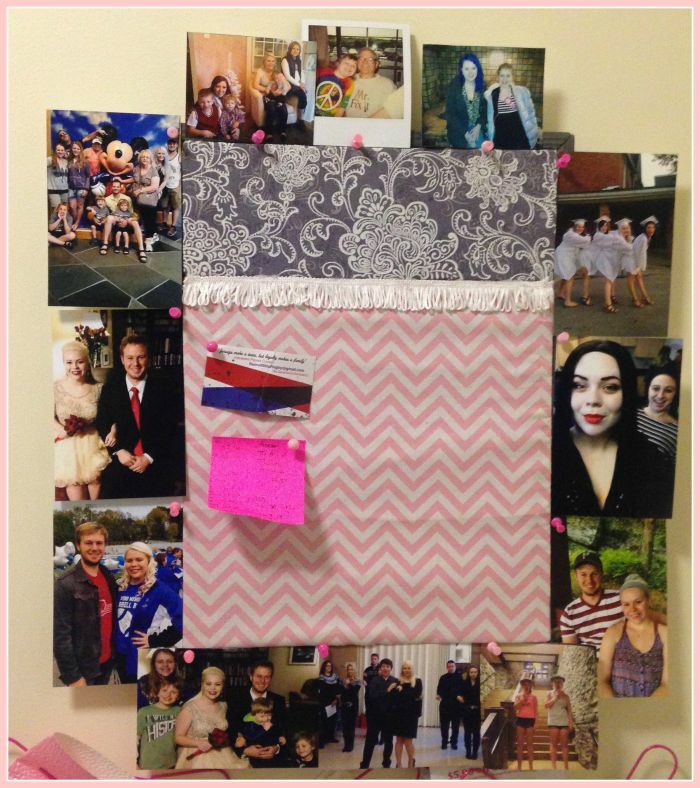 If you have enjoyed seeing how we decorated Sophia’s dorm room, please comment below. We love to hear from our readers. For updates on future posts and tutorials, subscribe below. Until then, I hope you find the right tool for your next project. A Little Bird Told Me that you’ve been doing some amazing things! 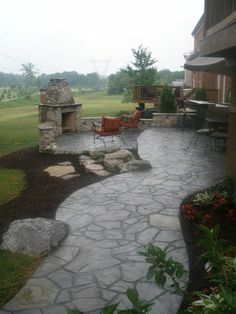 I’d love for you to share! 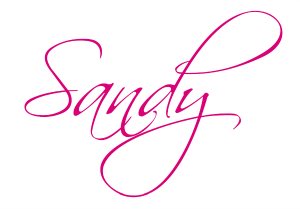 Link up a recipe, craft, home decor project, home school post, activity/craft for kids, or any other post you’re proud of! 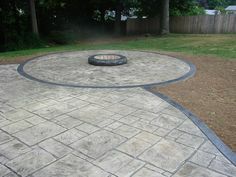 Your post will be shown on each host’s blog where we will individually pick features each week. We’re teaming up to bring you an even bigger and better party! Remember that you must link back in order to be featured. Just a few more things… This party is not for giveaways or other link parties. Be sure to link to the specific post and not your blog’s homepage. 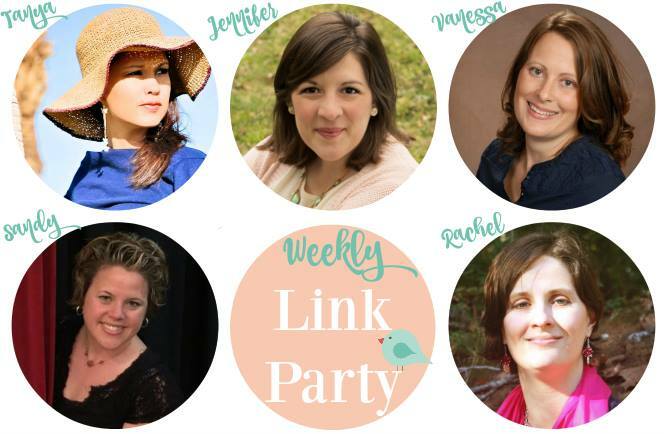 By linking up, you are giving us permission to feature your post. All features will be given credit and a link to its source.